It is too soon to tell what impact the change in Administration will have on disability policy. LDA will have a better sense once decisions are made about who will lead the Cabinet agencies, including Education, Health and Human Services, and Justice. 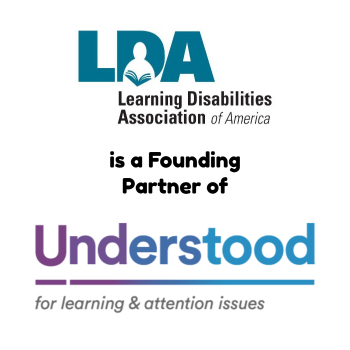 However, as has always been the case, LDA will meet the Administration and members of Congress where they are and advocate for strong policies that positively affect the lives of individuals with learning disabilities. LDA visualizes a world in which all individuals with learning disabilities are empowered to thrive and participate fully in society; the incidence of learning disabilities is reduced; and learning disabilities are universally understood and effectively addressed. LDA’s mission is to create opportunities for success for all individuals affected by learning disabilities and to reduce the incidence of learning disabilities in future generations. As the transition to a new Administration takes place in January 2017, LDA will carefully examine statements of new members of Congress and the Administration to determine, as best possible, their views on equality of opportunity and access to services for individuals with learning disabilities. We will continue our activities to educate all policymakers about the importance of educating, employing, and ensuring the best quality of life for each of the individuals we represent throughout their life spans. One thing we know for sure – disability affects all segments of the population, “red,” “blue,” and “purple.” LDA is and always has been “color-blind,” and this election is no different. The task continues to be to inform our national leaders about the important contributions individuals with learning disabilities can and do make to our society every day, and we hope all advocates will continue to carry that message forward. The Supreme Court agreed to hear two important cases during its current term related to educating children with disabilities. The first has already been argued, and the second will be heard some time in 2017. The first case addressed a procedural issue, while the other goes to the heart of the substance of special education. Decisions will be rendered most likely in late summer. In October, the Court heard arguments in Fry v. Napoleon Community Schools. The plaintiff in the case is Ehlena Fry, a young girl with cerebral palsy, who has a service dog that assisted her with mobility and other tasks. While the popular press has focused on the school district’s refusal to allow “Wonder” to attend class with the Ehlena, the question in the case is really a procedural one. The parents brought their action based on violations of the Americans with Disabilities Act and the Rehabilitation Act, rather than under the Individuals with Disabilities Education Act (IDEA). The school district contends that, since Ehlena had an IEP at the time of the dispute, the Frys must go through the IDEA administrative procedures rather than going directly to court. The attorney for the Fry family contends they do not have to exhaust IDEA administrative remedies first because they are not seeking an educational remedy. Rather, the family has asked for monetary damages for social and emotional harms to the child as a result of not being able to have her service animal for support in school. The question then is whether exhaustion of remedies is required before the plaintiff can bring a civil action, when the controlling law is the IDEA. The second case, Endrew F. v. Douglas County School District, goes directly to the foundation of the IDEA – what educational benefit must school districts provide to students with disabilities. Children with disabilities who are eligible for special education and support services under the IDEA must be afforded a “free appropriate public education” (FAPE), which the Supreme Court in the Rowley case in 1982 held generally is some educational benefit. The 10th Circuit Court of Appeals, which heard Endrew, ruled that some non-trivial benefit must be provided. Other federal Circuits have held that “meaningful benefit” should be the standard. With a difference of opinion on this core provision of the law, the Supreme Court agreed to examine this issue. 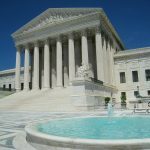 The Court could choose to more clearly define FAPE or to leave the looser standard, putting the onus on school districts to determine educational value. A new UDL (Universal Design for Learning) Council has been established to recognize individual expertise in the use of UDL principles and acknowledge implementation in school districts, curricula, and instructional practices. Discussion on these processes of credentialing and certification began in October. LDA Policy Director Myrna Mandlawitz was invited to participate as a member of the Council, due to her active involvement in the National UDL Task Force. Under the auspices of CAST (Center on Applied Special Technology), the UDL Implementation and Research Network (IRN), and the National UDL Task Force, the Council was established to develop, through a stakeholder-driven and voluntary process, procedures for accelerating widespread adoption of UDL Principles and Guidelines nationally and internationally. CAST’s National Center on Accessible Education Materials has received funding from the Office of Special Education Programs (U.S. Department of Education) to assist in this effort. 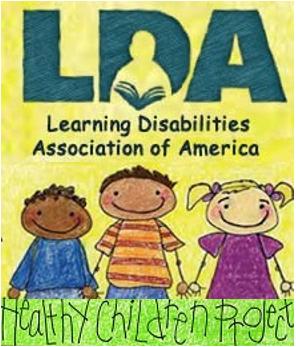 LDA has participated in the National UDL Task Force since the coalition was established. Over 40 general and special education organizations work together to integrate UDL into all learning settings. The Task Force was successful during the last reauthorization of the Higher Education Act in getting a definition of and language related to UDL into that law. 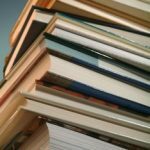 Most recently, UDL has been included in various provisions of the Every Student Succeeds Act (ESSA). The Council is examining three critical components necessary to achieving and sustaining voluntary implementation of UDL principles and practices. First, they are looking at expanding adoption of the principles of UDL – multiple ways to present material, multiple ways to engage students, and multiple ways for students to demonstrate mastery. There are also a series of guidelines for designing curricula and UDL-aligned instructional practices (See http://www.udlcenter.org/aboutudl/udlguidelines). To effectively implement UDL practices, a cadre of professionals with core knowledge and skills must be developed. The second component of the Council’s work is to establish an independent system for training and recognizing specific skills and competencies aligned with UDL, which would culminate in a professional credential. Individuals with this credential would be available to deliver UDL-specific technical assistance, professional development, curriculum design and implementation, and other areas identified by the field. 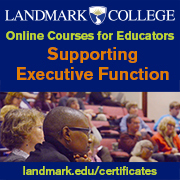 The third focus of the Council is to create a formal voluntary certification process that recognizes excellence in UDL in educational sites, systems, materials and instructional and assessment practices. The expectation is that those experts with UDL credentials would assist in developing and validating categories of UDL certifications designed to move toward full UDL implementation. Implementation of UDL principles will be particularly powerful for students with learning disabilities. For more general information on UDL, go to http://www.cast.org/our-work/about-udl.html.